Come and learn about the ecological history of the north shore forest and do your part to help restore it! Have you ever taken a drive up the north shore and thought, “Why are all of these birch trees dying?” Learn the answer to these questions and more in a presentation by regional experts on the north shore forest. After the presentation, join the effort to restore the shore by helping the US Forest Service for a planting project. This is a family friendly event. Join us for part of the day or just a few hours. Register below to receive a free lunch. 10:30 am - Presentation from Matt Tyler, a regional forester, and the North Shore Forest Collaborative at Lutsen Town Hall. Turn left out of the parking lot onto the Caribou Trail. Turn left onto Highway 61 and drive approximately 1 mile. Take a left after Isak Hansen True Value. Follow the road less than half of a mile. Planting site and parking on right. This project is a partnership between the Northwoods Volunteer Connection, Cook County Soil and Water Conservation District and the US Forest Service. Join us for a volunteer day on the Moss Lake Trail! Drop in for a few hours or the whole day. 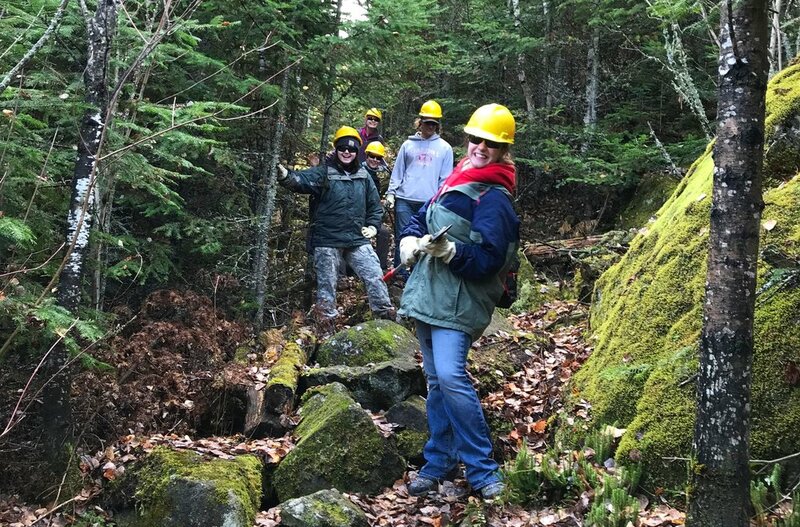 Learn what it’s like to be a trail volunteer with the Northwoods Volunteer Connection. About the Trail: The Moss Lake Trail is a newer trail constructed in 2014 which hugs the south side of Moss Lake. This trail connects to the Caribou Rock Trail on the east and the South Lake Trail to the west. Overlooks afford beautiful views of Moss Lake and the BWCAW. Project Details: Meet at the Caribou Rock Trailhead, 2 miles from the Gunflint Trail on Hungry Jack Road. Crews will depart at 10 am and 12 pm. Volunteers should wear pants and a long-sleeve shirt and bring plenty of water. Volunteers under the age of 18 must have a parent or guardian present to sign the necessary paperwork. Tools, gloves and other safety equipment will be provided. Lunch will be provided for those who register ahead of time at the link below. We need your help to keep tree seedlings alive along Lake Superior’s north shore! Join us and learn about the ecology of the region and the importance of on-going efforts to support forest restoration. Volunteers will support tree seedlings by clearing back competing plants and making sure protective tree cages are intact. Meet at the Pincushion Recreation Area parking lot at 12:00 pm. The group will walk together about a half mile down the trail to the restoration site. Volunteers should bring water and a snack. Wear long pants and a long-sleeve shirt and closed-toes shoes. Gloves and tools will be provided. Project Description: Explore the rivers of the Boundary Waters Canoe Area Wilderness on this volunteer adventure! Volunteers will work together to repair and replace a boardwalk on the Little Isabella River and venture to nearby portages to assist with clearing activities. 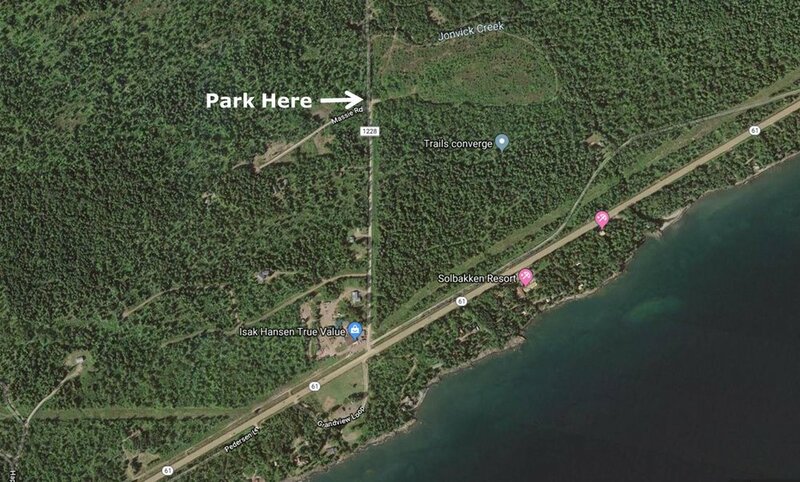 Volunteers will meet at the Tofte Ranger Station for an orientation and to divide up gear before carpooling to the Island River entry point. The group will paddle and portage approximately 3 hours to set up a base camp on the Isabella River. Each day volunteers will travel from camp to the portage to complete boardwalk construction. Fees: There is a $75 registration fee for all participants ($30 for students). This fee is refundable up to three weeks prior to the project. RSVP: Space is limited to 6 volunteers (4 of 6 spots available). Fill out an interest form here. Registration deadline - June 14th. More Details: The Northwoods Volunteer Connection provides some equipment for this project, see the Resources tab for more details including packing lists. Volunteers will be reimbursed $25 per day for the cost of food. Individuals may choose to bring their own food or to order food for the trip through a local outfitter. Volunteers are encouraged to bring mud boots on this project. **Please note that canoe experience is preferred for this project. Bring the whole family for this fun and educational event! Learn about invasive species at one of our activity tables. Lend a hand and help remove invasive plants before they are carried down the nearby trails. Drop in between 10 am and 2 pm! Project Description: Interested in volunteering in the Boundary Waters Canoe Area Wilderness but don’t feel ready to commit to a 5-day trip? This is the project for you! Help restore the shores of Alton Lake on this weekend project. Volunteers will work alongside Forest Service and Northwoods Volunteer Connection staff to transplant trees in areas that have been trampled by campers. This unique project will show volunteers the importance of Leave No Trace while learning about forest restoration efforts in a wilderness area. Volunteers will meet at the Tofte for an orientation and to divide up gear and carpool up the Sawbill Trail to the entry point. The group will have a quick paddle and portage from Sawbill Lake to Alton Lake and set up a base camp. RSVP: Space is limited to 6 volunteers (3 of 6 spots available). Fill out an interest form here. Registration deadline – August 10th. More Details: The Northwoods Volunteer Connection provides some equipment for this project, see the Resources tab for more details including packing lists. Volunteers will be reimbursed $25 per day for the cost of food. Individuals may choose to bring their own food or to order food for the trip through a local outfitter. Project Description: Join us for a Wilderness adventure on the Sioux Hustler Trail! The Sioux-Hustler Trail is a primitive 30-mile loop hiking trail in the Boundary Waters Canoe Area Wilderness. This project will focus on improving the eastern portion of the trail between Agwato and Emerald Lake. Volunteers will work together alongside the NVC crew leader to clear this overgrown portion of trail. Volunteers will meet at the LaCroix Ranger Station for an orientation and to divide up gear before carpooling to the Little Indian Sioux River North entry point. The group will paddle and portage to the Agwato Lake area before setting up a base camp. Each day volunteers will travel by canoe to reach the trail. RSVP: Space is limited to 8 volunteers (7 of 8 spots available). Fill out an interest form here. Registration deadline – August 26th. We are proud of our public spaces in Grand Marais and take great pride in keeping them clean! What better way to show our appreciation for our beach and harbor than Earth Day weekend? This cleanup is part of the Alliance for the Great Lakes Adopt-a-Beach program. 11:00 am - 1:00 pm Community Beach Clean Up. Meet in Harbor Park to sign up and participate in the clean up for any amount of time. Bags and gloves are provided. Subscribe below to receive email updates including new volunteer opportunities.